At Yad LaKashish, survivors are using their hands – elderly, shaky but someone full of energy – to create light. 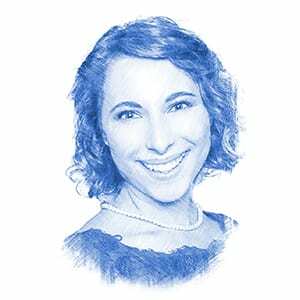 They are crafting Hanukkah menorahs to be sold in Israel and abroad, a last attempt, according to Julea Gasner, public relations associate for Yad LaKashish, to turn a darkened past into a promising future. A third menorah features two deer, in Hebrew “tzvi,” meaning beauty and splendor in reference to Isaiah 28:5, in which God is referred to as a crown of beauty (Tzvi) for His nation, and in the book of Daniel 11:16 and 41), where the Land of Israel is referred to as the Beautiful (Tzvi) Land. Another menorah features some of the most prominent landmarks in Jerusalem. “Making a menorah is a good illustration of community,” Gasner said. “Our elderly speak of dislocated families, one woman telling about being separated from family quite young and forced to work 12 to 14 hours of work in the factory. We have Ethiopians who walked across the Sudan to Israel, losing family along the way. We have one woman who made it to Israel after surviving the European Holocaust, only to have husband die after they got to Israel – she has been with the organization for 40 years,” Gasner said. The fact that it is Israelis creating these artisan Judaica for Hanukkah is also symbolic. During Hanukkah, Gasner explained, the Jewish people celebrate miracles. Hanukkah begins this year on Dec. 2. Purchase a Holocaust survivor menorah.